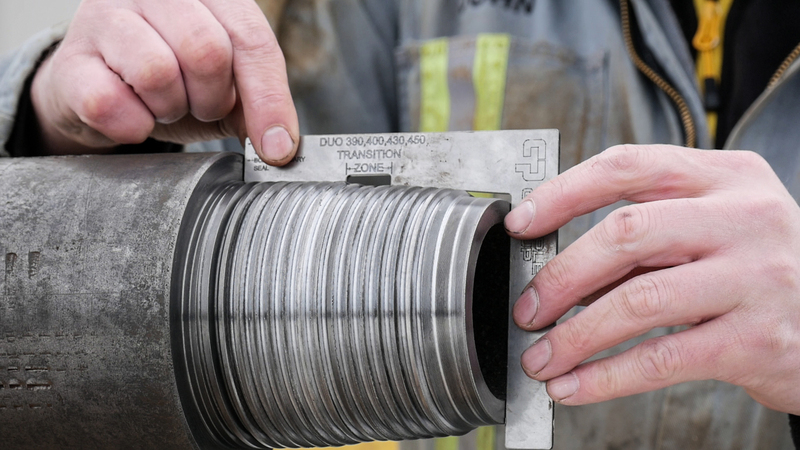 The first commercialized drill string of 4 ½” 400 DUO drill pipe and HWDP has continued to excel in the field, with the latest inspection results confirming it’s designed field friendly capabilities. 400 DUO connections were used in the drilling of 4 additional wells, at a maximum total depth of 5,450m (18,000 ft). This required high drilling torques of 26,500 ft-lbs from the 5.250″ x 2.688″ tool joints, but it proved to be more than capable. Drill pipe and HWDP were once again 3rd party inspected following the 4 planned wells, with a machine shop repair rate of 0.29% of the 1380 total ends. Landing Pad threads were found to have absorbed stabbing damage safely, with minimal field dressing required. For a more in-depth discussion and details visit our case study on the development of the DUO connection.